Trees pull water from the ground against the force of gravity using the water capillary action. Originally observed and recorded by Leonardo da Vinci, capillary action permits a liquid to flow in narrow spaces using the pressure caused by cohesion and adhesion. 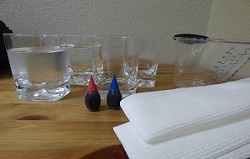 The water capillary (walking water) action can be demonstrated with 4 glasses, water, food coloring, and paper towels. Prepare 2 glasses of water. Each glass should contain 1 cup of water. 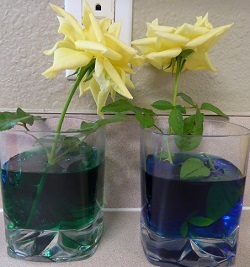 Using the food coloring, give each glass a different color. Set 2 empty glasses of water next to the glasses of water. Twist and fold the paper towels in such a way that each towel touches the bottom of a glass of water. The other end of the paper towel should touch the bottom of an empty glass. 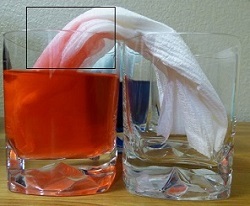 The capillary water action begins immediately. The paper towels begin to change color. Within an hour or two, you will see some water transferred from the glass of water to the empty glass. By the next morning, the amount of water in each glass is the same or almost the same. The water capillary experiment is a very simple experiment to demonstrate how water can work against gravity to flow. The action can be demonstrated with flowers. A yellow flower is placed in a glass of green water. Another flower is placed in a glass of blue water. 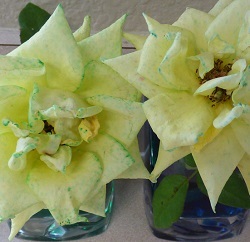 After several hours, the green and blue coloring is visible in the petals. 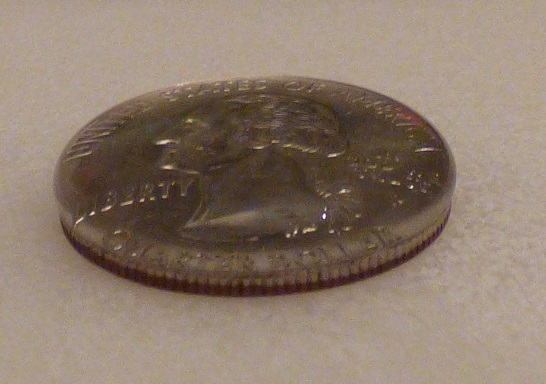 A second experiment with water and coins will demonstrate water tension. The pressure caused by cohesion causes the water capillary action. The strong cohesive forces at the surface constitute surface tension. 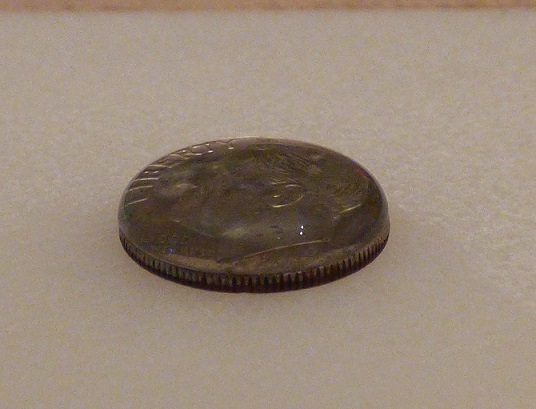 Twenty drops of water are dropped on a dime to demonstrate surface tension. Sixty-four drops of water are dropped on a quarter to demonstrate the phenomenon known as surface tension. Other than mercury, water has the strongest surface tension of any liquid. The cohesive forces of the surface layer, or surface tension, is responsible for the spherical shape of drops.